There’s no need for us to do all of the talking – our customers will tell you what it’s like to work with us and what you can expect when you choose C&E Wurzer for all your home needs. Below are a few testimonials from some of our many satisfied customers. We would like to send a huge thank you to you and your entire crew at C & E Wurzer. Our gratitude for all of your efforts in making our dream home a reality must be shared. The entire process from selling our home in a timely manner in a bad housing market, to custom designing our home based on our needs, to the building process, to closing ahead of the expected completion date, is commendable. After meeting with other noted builders in our area, your competitive pricing and services were by far the most affordable and extensive, thus making the building of our dream home a possibility. 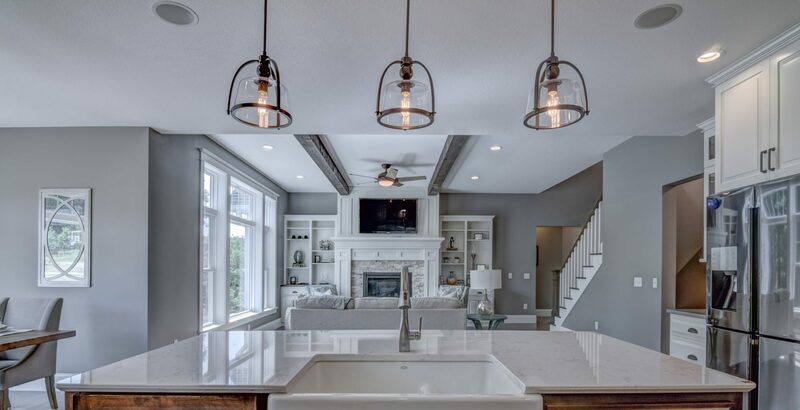 Being able to work with one contractor on the sale of our home, the design and construction of the home, the selection of flooring, cabinets, paint colors, siding, etc... was a collection of perks not offered by the other builders and made the process very smooth for us. You made, what has been shared by some, as the worst experience of their lifetime, an exciting and enjoyable experience for us. The quality and craftsmanship of our beautiful, new Energy Star home has been recognized by our family and friends, and is being enjoyed and appreciated by us every day. I would certainly recommend anyone who is considering building a new home to contact C & E Wurzer Builders to do so. Best Wishes. Jo & I would like to thank you for building us our home. Everyone involved was very helpful and friendly as we navigated through the very extensive process of custom building our home. We definitely appreciated how you made the process as painless as possible. The first meeting that we had with Justin and the amount of time that he spent with us made us realize that you guys were willing to invest your time to get things right. Throughout the whole process, you guys did a wonderful job giving us reassurances ranging from the building materials to the colors to the budget. You made sure that we always had an open line of communication from beginning to end. It's been 2 years and it is still very easy to get hold of you. As first time homeowners, whenever we have questions or concerns, you continue to be just a text or a phone call away. It's truly commendable on how you guys continue to stand by your work and you word. Every time we hear horror stories from other people about their home building/ renovating experiences, we continue to be very thankful that we chose C&E Wurzer. We wholeheartedly recommend you to anyone who asked us about our experience and we will continue to do so in the future. Keep up the great work and we wish you all the best! Thank you very much. We are the ones who should thank you. You were patience with our deciding on a color; the quality of the work done and the siding itself are simply great. Ethics and values are all but gone in many businesses today but that is not the case with C&E Builders. We had a very positive experience with them for a roof redone following a hail storm. From the initial roof evaluation to the last nailing of the finished product this business did an outstanding job. They helped with every step of the way including all the insurance paperwork. It's refreshing to see a company still exists with old fashioned work values! We have been in our new home for one year now, and Cory and I wanted to pass along our continued thanks to you for the great job that you did. We are so happy with our new space, and I feel blessed to live here every day! You did a wonderful job working with us, and helping us with such a daunting process. We have wholeheartedly recommended you to friends and colleagues who are looking for a contractor. We plan to be in touch regarding a deck in the next few months. I wanted you to know that you did an excellent job, and we continue to enjoy our beautiful (and impressive!) home. We really appreciated Justin, who was with us every step of the way. Working with you [Mollie] has been great. A very pleasant experience. You handled the up front coordination between us and our insurance company very professionally. You made our roofing project a success. Thank you for the excellent customer service. The way the crew that you sent out to do our roof was excellent. They cleaned up wonderfully and we only found a few (under 10) nails in the yard. We were particularly impressed with how they got the job done in one day. My wife and I were extremely satisfied with the quality of the roof replacement to our lifelong home. The services of C&E Wurzer Construction were exceptional. Beginning with the assessment of hail and wind damage by trained and certified personnel, their professional explanation of the condition in understandable language and the professional management of conversation and engagement with our insurance company. Installation was completed by qualified and caring individuals. They took care to protect the plantings that surrounded our home and completed the installation according to schedule. The cleanup and removal of debris was exemplary. Follow up by the sales person and installer also provided a sense of comfort and reassurance that we were dealing with a quality company that put the client at the fore front. We highly recommend the services of C&E Wurzer Construction, a company of quality people and exceptional service. Thank you, great job on the siding. We had damage to our roof and siding from hail. This company had a representative at the insurance adjustment to insure all damage was recorded so we were able to replace the entire roof and all siding. They immediately sat down with us to discuss color and dates. The roof was replaced in a single day, the siding in two days. Everything was cleaned up and removed, there was no interruption in our daily routines. You know what I like most about your company and their employees. You guys are honest and hard working and stick to your word. Thank you for everything and can't wait to see the finished product. Craig, Keith, Josh & the team were great to work with. Our renovation project had many unique elements which created quite a bit of complexity, but the completed home even exceed our original expectations. Thank you. I wanted to thank you for your assistance and swiftness in the replacement of the roof on my house. I recently had the opportunity to work with C&E Wurzer Builders and found it a very pleasant experience. Everyone I met involved with the company was friendly and extremely helpful, including the men that worked on my house. They worked very hard, were courteous and did a wonderful job; basically worked nonstop and finished the siding project in one day. Before leaving, they also made sure everything was cleaned up and perfect. It was a very wonderful experience working with all involved. I would highly recommend this company to others. We are very happy with our decision to build with C and E Wurzer. Without them we never could have built our dream house and stayed within our budget. Before talking to Craig and Cari we were making cuts and deductions to our home plans because we never thought we could afford everything that we wanted. After getting a bid with C and E we were able to upgrade to things that we never thought that we would be able to have and stay within our budget. The “buildertrend” website was amazing. It allowed us to stay informed of exactly what was happening with our building process even if we were not able to be out on the site. The running cost portion of this website was great. It showed what we had spent already and where we had saved money so that we could upgrade in other areas or keep the savings. Also it made it very easy to stay in touch with Craig even when our schedules did not always match up. When we had meetings with Craig and Cari about picking finishes on the house (cabinets, tile, carpet, stonework, etc…), it was great to be able to meet at a place like Lake Hallie Cabinets. They had everything there in one place so that we did not have to travel all over town on multiple occasions to look at different samples. Cari was a huge help on these decisions and she made sure that the interior design all came together to make a beautiful home. Because of this and all of the hard work and long hours that Craig and Cari put in, we were somehow able to build a new house at the same time that we were selling our old house, having our first child, and making a career change. Everyone that came to the building site to work on the house was more than willing to go out of there way to help us complete our dream home. We could not have done it without their hard work and we thank them for being so accommodating. We still don’t know how Craig was able to build us such a beautiful house for such a reasonable price but we are very happy that he did. We have been in our new house for several months now and could not be happier. Thank you C and E Wurzer! Your company did a great job for me this past summer, so thank you. C&E Wurzer Construction did a great job replacing our siding and roof. They were dependable, timely and professional. I highly recommend them! We had our roof replaced by C&E Wurzer Builders in Aug. of 2012. Our representative was Brad Roeske. He was professional and knowledgable about the project. He answered all our questions and solved any problems that came up. We found it easy to work with Brad, he was very accommodating. Thanks to Brad, we now have a beautiful new roof to be proud of. To C&E Builders, Thank you for my new roof and gutters, tell your guys they did a good job!! My husband had the idea for a while to build a home because we were just not finding exactly the house we were looking for. I was leery to build after hearing stories about couples who had built homes that ended in arguing and even divorce! While house shopping one day, I came across an open house and lover the layout. My husband agreed this house was the one. I found out C&E had built the home and I knew we had found our builder. I was even more excited to find out they had also build a Parade Home nearby which was my favorite that year. I knew the quality we were getting by choosing C&E. Justin, Craig, and Cari were very friendly and made me feel like we were getting special treatment by spending hours trying to match colors, cabinets, stains, tile, etc. All the decisions that seemed so cumbersome and stressful on our own at multiple stores turned into a breeze. With their help and almost everything to choose from all in one place I don't know why I had ever been so nervous about making these decisions. It was fun! Recently we decided to build a downstairs bar area and were looking for just the right color & a specific style of tile. We went to multiple stores and one day I was driving by C&E and popped in unexpectedly. Within one minute Craig knew exactly what we wanted! I am very happy with our home. It is a Parade Home to me, something i never thought we could afford. Our family and friends are so impressed and I feel proud to show it off! 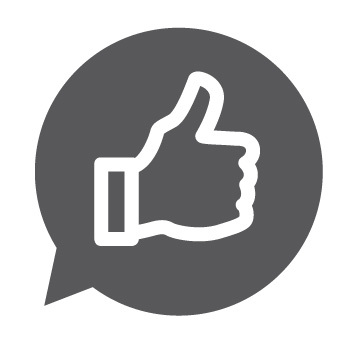 We have recommended you to others and will continue to do so, as we are very pleased with the results! We LOVE our home and are so glad to have found you. Thank you for everything you did to make this a reality!! 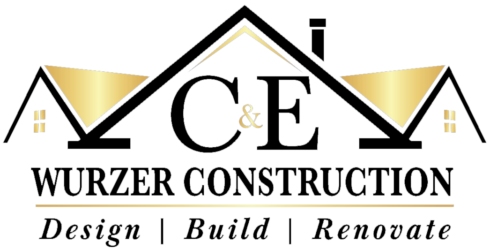 We would like to take this opportunity to thank C & E Wurzer Builders for the wonderful job they did with the construction of our home. From the beginning to the end of the project, everyone was great to work with. The end results surpassed our expectations and we could not be happier. We have received numerous compliments from friends, neighbors, and others just passing by on how beautiful our home turned out. What impressed us the most was the crew's attention to detail. If something wasn't just right, or to our liking, they would go above and beyond so we were satisfied with the end product. We have and will continue to recommend C & E Wurzer Builders to our friends and family for future projects – and would not hesitate to have C & E Wurzer complete future projects of our own. Thank you to Craig, Cari, Justin and the rest of the crew for an amazing job!